The arrival of Suzuki Ciaz is being predicted to be just around the corner, this article is an attempt to answer and highlight some of the concerns of consumers and Pak-Suzuki’s strategy in this situation. Without further ado, let’s go ahead and have at the accumulation of these points. The new auto-policy has stirred the local automobile manufacturers to introduce new models in the country. Pak-Suzuki’s strategy of removing the stigma associated with its name in terms of build quality in Pakistan is finally showing some positive signs of life. What started off as a market probe with Suzuki Kizashi has lead to the launch of Suzuki Vitara and now it seems that the next horizon is the imminent launch of ‘Suzuki Ciaz’. 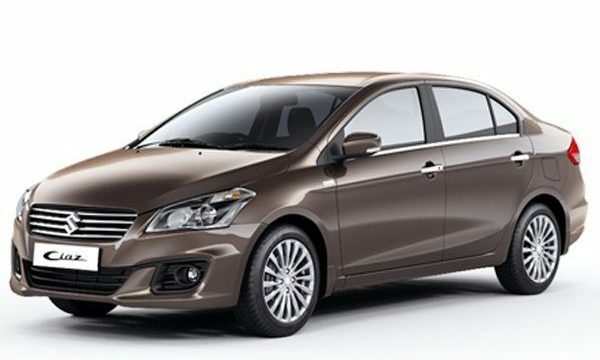 It is being reported by various sources that Pak-Suzuki might introduce two variants of Suzuki Ciaz, both featuring a 1.4L petrol engine mated to automatic or manual transmission. 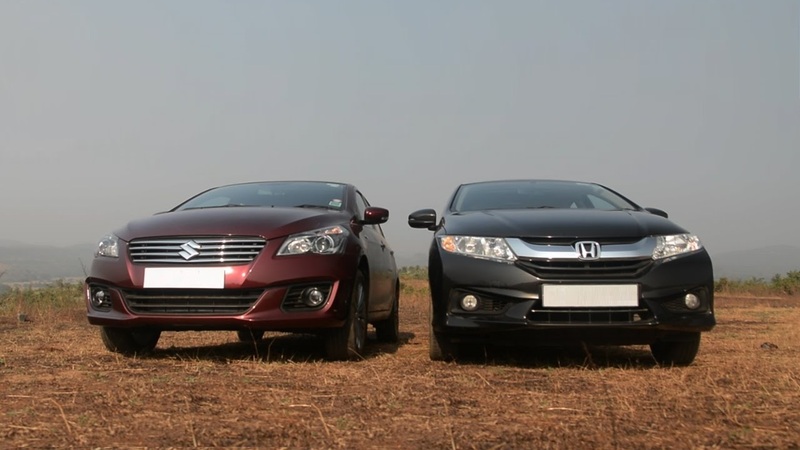 After Margalla, Ciaz could help Pak-Suzuki in re-entering the market of entry-level sedans. Equipment, value for money and powertrain aside, the fact remains that Pakistani consumer market rates ‘resale value’ as the top priority. Thus, this prevalent situation makes it difficult for any new model to successfully make its place in Pakistan, until or unless there exists a gap. Industry experts are predicting that this car could be offered at a price tag of PKR 1.7-1.9 million. On surface it may look like a lot, but since this car’s is infact a CBU, this price is still pretty appealing. As mentioned earlier, Pakistani market prefers resale value, so it is imperative for Pak-Suzuki to launch this car at a competitive price and then provide an excellent after sales service. Some would argue that company is introducing CBU’s instead of promoting localization of these cars, but company’s stance on this situation is to wait and see the response on these new products and then start their local production. So, is it right to assume that these new cars are for the riches? In simple words yes. This new strategy of changing brands’ conception is going to end up costing a lot to Pak-Suzuki’s customers. Ripping apart peoples invested money. Plus more units were sold under cost. Even Honda and Toyota mangae to sell a few Accords and Camrys but thats not what they are selling here. This car should be priced in very close proximity of 1 million to stand any chance of success. whether CBU or local suzuki produces garbage everywhere. To be honest i wish this to be a failure so we may see suzuki getting lost from this country. what they have given us is garbage ever since they stepped in and promoted corruption by giving kickbacks and staying in the market unchallenged. Will this car be assembled in Pakistan? Yes ,agree suzuki should get harsh lesson from pak people. We should boycott suzuki for ever, no matter what car they introduce.They have teased pak people for thirty years, time to take revenge. CBU’s incur no investment, no R&D, and no transfer of technology. Kizashi units supplied in Pakistan were unsold CBU’s from Japan. When Kizakshi was introduced in Pakistan, it was already removed from all other markets including Japan, US, and Europe. Also, most owners of Kizashi are Suzuki Dealership heads. Vitara was also offered as CBU by Paksuzuki in early 2000s as well. 2. Paksuzuki to date has not even launched a single locally assembled car in Pakistan that was not outdated in the international market. Right now all it’s cars – Mehran, Cultus, Bolan, Ravi, and Swift are obsolete models no longer offered outside Pakistan anywhere in the world. Even their “new” Wagon R will be phased out and replaced by a newer model in 2017 the world over. 3. This brand perception myth has been floated by their Marketing and Top Management since 2010. Suzuki is not really concerned about their brand quality, their focus is on maximum profits with minimal investments. That is why they strongly oppose replacing models, and even when they do they simply introduce another outdated model as they assemble a “globally discontinued” model in Pakistan which is cheaper because they can import unusable scrapped dyes, toolings, etc for obsolete models at lower prices. In today’s era of information, Paksuzuki cannot fool the country by launching obsolete models. In various media mentions Paksuzuki’s management tries to avoid talking about new models and safety features etc. They are already getting quite frustrated with the public’s growing knowledge about their products being outdated and low quality. they were unsold units imported from Japan. By the time they introduced Kizashi in Pakistan, it was already removed from the international market. Please stop acting like children. Taking revenge? How immature… PakSuzuki have no doubt been selling obsolete cars but this “garbage” is what pakistan is running on right now. Suzuki is not a person but a company that manufactures cars. They have not forced you to buy the Mehran so why take revenge as if it was forced down your throat? Let me guys tell you an insider story. It is related with lobbying of Pak suzuki. Our local rickshaw manufacturers have introduced loader category which directly competes with Ravi pick up from Pak suzuki. But the price difference is humungous. Ravi pick up cost around 7 lacs and the loader by local rickshaw manufacturers costs around 1 lac 80k. Now Pak suzuki definately cannot compete with price so they are continuously pressurizing government not to issue registration and route passes to loader category. This is how they monopolize the issue. I have seen three of them, in DHA karachi. one of them is seen on regular basis on my way to the office. Whole Pakistan is Kachi Basti. Have you seen any place in Pakistan as Civilized city. Its the tragedy with our country that monopolists are ruining the nation. Like Pak Suzuki, who is manufacturing tin dabbas and khataras (now vitara) and such alike. These vampires have no concern with providing ease to the public, they only concerns with their PROFITABILITY. They are producing mehran from many decades and only improvement in mehran is its price. No doubt, Pakistan is an under developing country and we people are with less earning and we are seeking for low price cars. Most of the reviews, I read is from elite class who is talking about XLI, CIVIC and else, but they forgot that a major target market of the companies are the people who even don’t think about the XLI or GLI. So they are monopolizing the market with Mehran, Bolan, Ravi etc. and they are suppressing the government, not to allow the other manufacturers EASILY to stand in the market to be a competitor of these vampires by making some bloody rules. Now have a look at our neighbors india and china. There are a lot of choices for middle and lower level class. In final words, the government has to pay a role to the new investors otherwise the local rikshaw makers who are manufacturing loaders is the BLOODY BRIGHT FUTURE of our country. When Chinese automotive companies will come in Pakistan?? 1.3L and 1.5L Honda City have already a strong hold of this category. Aqua is getting popular in urban areas for it’s economy and class in this price bracket. They have to launch it under 1.6 million to steal the gap between Suzuki Swift and Honda City. All the Edhi ambulances are Hiroof. So when you need to transport somebody to the hospital quickly, boycott Suzuki at that time. Suzuki is crappy but it doesn’t mean it does not have its place in the society. It has, and that is why it is not only surviving, it is in fact thriving. I have seen it exactly three times, and many readers of PW blog, and many members of PW forum have posted that many banks on I. I Chundrigar (it is a road in Karachi) have Kizashis for their higher-ups therefore it is a common sight in that area. Possibly you have no idea of what you are talking about. Most of the Pakistanis already live in slum areas and few of them in properly planned areas. E.g 2/3rd of Karachi’s population lives in slum areas. The basic reason is that government does not provide low-cost housing nearby posh areas, therefore, there are slums nearby each average/posh area. Domestic help, drivers, cooks, cleaners etc. come to posh areas from those nearby slum areas. Bahria Town has tried to cater to this need by introducing workers’ colonies and low-cost housing in their communities. In any way, you don’t know what you are talking about because slum areas offer perfect safe havens for criminals that is why it is common to see smuggled/NCP Range Rovers, Mercedes, BMWs etc. used by the sarghana or his/her ahlkaars in the kutchi abadis. Kizashi is too low for them, maybe their servants also would not use Suzuki. To some Pak Suzuki trolls, may be it is thriving.For your information there will be replacement of scrap with new and efficient cars and vans, pak automobile future is bright and dynamic. 2017 onward , will see a lot of changes. TROLLS will be nowhere. Guy ! use BURNOL, sorry to say. They had already come in 2006 viz. Chery, Geely, Karakoram motors etc. and FAW is here and surviving. 1.3L and 1.5L Honda City have already a strong hold of this category! Are you hit in the head? Toyota was and remains at the top spot in this category, not only in Pakistan but across the globe and just wait for the facelift, it shall sweep City off the roads. Wake up please, Burnol was discontinued more than a decade ago. Recently, people use Polyfax. Still available in india. 20g cost PKR 75 . May be available in Pak too. I can’t think of a reason why they should not do this. It makes imminent sense. There is a gap in the lower end sedan class with the corolla and city having very limited features. A decent sedan with a 1.3 or 1.6 engine costing around 1.3 to 1.5 M would sell just fine. If they do launch it they should get rid of that K series engine, seriously who cares about fuel consumption. We are Saudi Arabia, right? How is an imported brand new sedan overpriced at 1.7 to 1.9 Million range? @shameermasroor:disqus Yes they forced their crap on Pakistanis through monopolizing and bribing the govt and denied competitors to reach the market. Its not only Pak suzuki, I believe Honda and Toyota are there Partners in crime allowing suzuki to gain and keep low end small cars market. Proof is they have plenty of models globally in size to compete Mehran they never launched them in Pakistan, WHY???? If you cant recall what models, check honda n toyota’s websites on Indonesia, Malaysia, Japan, India, china etc. We can witness few in our used import market (Vitz, Jazz, Echo, etc). I have said the same thing but yeah you are right.